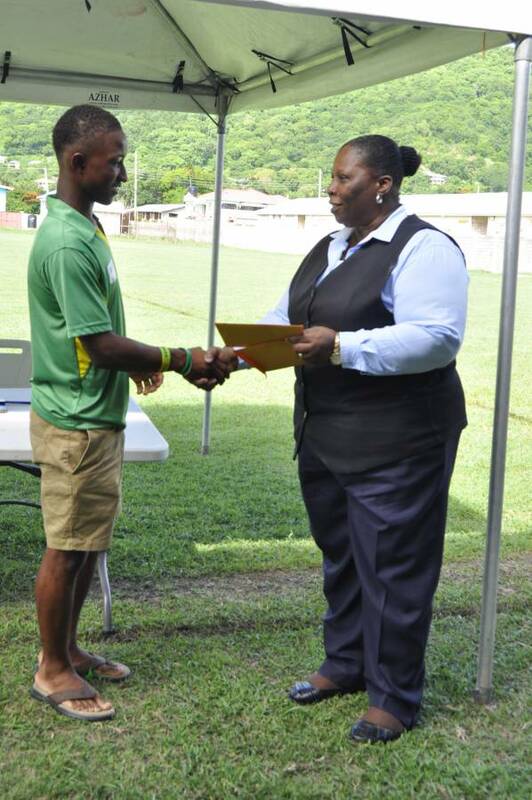 Government officials representing the Ministry of Carriacou and Petite Martinique Affairs and Local Government, along with the Carriacou United Cricket Board, last Friday teamed up collaboratively to honour the recent accomplishments by the young cricket stars of the sister-isle, Emmanuel Stewart and Khazari Charles. 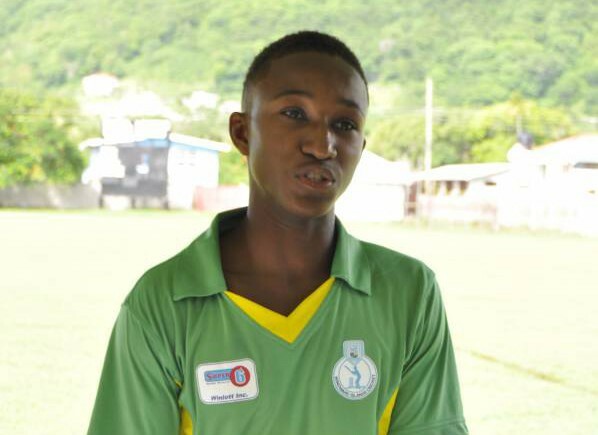 15 year old Emmanuel Stewart, player of the Windward Island U19 Cricket Team, on 14 July was appointed Captain of the Windward Island U17 Cricket Team. 15 days later, he was selected on the Grenada National Senior Cricket Team, marking history as being the youngest player to be ever selected on Grenada’s Senior Team. Additionally, Khazari Charles, who is seemingly walking in the footprints of Emmanuel Stewart, was recently selected on the Grenada National U15 Team. PS Sylvester making a presentation to Khazari Charles. Deputy Prime Minister, Minister of Labour, Legal Affairs, Carriacou and Petite Martinique Affairs and Local Government, Hon. Elvin Nimrod, congratulated Emmanuel and Khazari on their recent cricket accomplishments, as they continue, not only making the sister-isle proud, but the entire tri-island state. Minister Nimrod also extended congratulations to the Carriacou United Cricket Board and the Coaches who played an important role in creating a product that is now a treasure to Grenada. Minister Nimrod added, that sooner or later he’s quite sure that young Emmanuel will play for the Senior West Indies Cricket Team, a day the sister-isle will record as most significant in its sports history. President of the Carriacou United Cricket Board, Mr Brian Whyte, also congratulated Emmanuel Stewart and Khazari Charles for their continued hard work, determination and steady focus. Mr Whyte also commended the Government of Grenada for providing the necessary support and proper training facilities throughout the sister-isle, which he believed have impacted positively on the development of Cricket and other sporting disciplines practiced on the island. 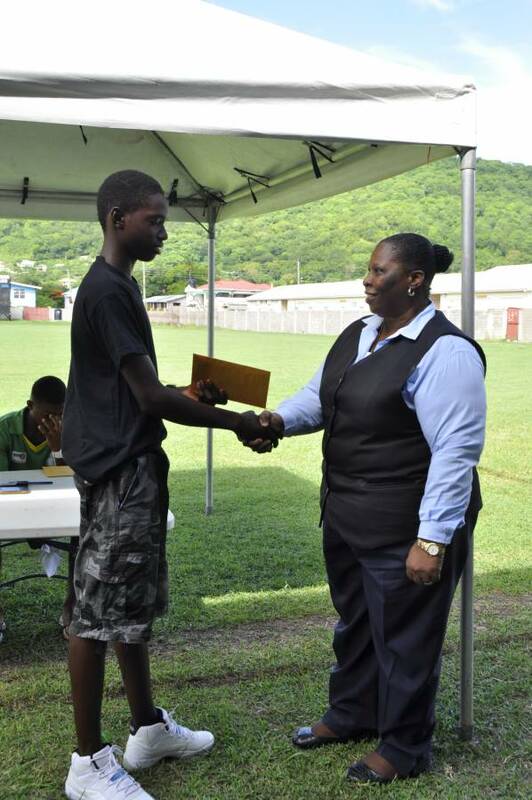 Emmanuel Stewart, at Form 4 level in Hillsborough Secondary School 2015, attempted 2 CXC subjects, Mathematics and English A, both of which he passed. Emmanuel Stewart thanks everyone who is supportive in his cricket career, and is dedicated to do his earthly best in his next and future tournaments to come.